For the electronic music project, see Chroma Key. For musical tonality depending on key, see Key coloration. For Cromer Quay, see Cromer. “Green screen” redirects here. 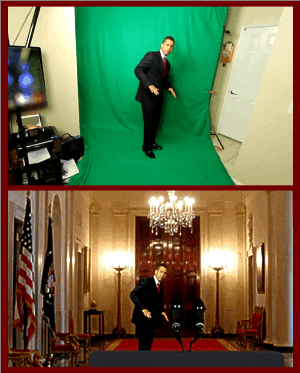 For other uses, see Green screen (disambiguation). Chroma key compositing, or chroma keying, is a special effects / post-production technique for compositing (layering) two images or video streams together based on color hues.